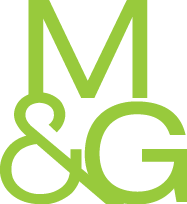 Merchant & Gould is a full-service intellectual property law firm that has focused exclusively on IP law since it was founded in 1900. As the pace of global innovation surges, intellectual property has become an increasingly integral and valuable part of business. Merchant & Gould helps sole inventors, emerging and established companies, universities, venture capitalists, and Fortune 500 and 100 companies stay ahead of the curve to gain leverage in new and existing markets. Our team of over 100 attorneys, registered patent agents, and technical experts thrive on the complex, the simple, the creative, the big picture, and the microscopic details that position our clients for business success locally, nationally, and around the world. Unparalleled technical experience: Merchant & Gould has focused exclusively on intellectual property for over a century. From the beginning, we have dedicated ourselves to finding the best solution, no matter where it takes us. The one constant: our clients’ challenges. We understand these challenges because our attorneys have an unmatched depth of knowledge in all aspects of intellectual property. Unmatched value: As an intellectual property boutique, approximately half of our firm-wide practice involves securing, licensing, maintaining, and counseling relative to intellectual property matters while the other half handles litigation and trial practice. Our lawyers bring an inherent global perspective and use creative strategies designed to expand on the potential of new ideas and to capitalize on opportunities that go beyond even our clients’ toughest expectations. We are Guardians of Great Ideas®. Lasting partnerships: At Merchant & Gould, the long term relationships that we build with our clients are critical to our success. As a result, we seek to actively partner with clients to understand, build, and implement technology and intellectual property driven strategies that add bottom-line business value. The depth and breadth of our legal and technical knowledge coupled with years of experience in helping clients create and strategically manage global intellectual property assets uniquely positions us to be a valued member of your team. Commitment to Diversity: Merchant & Gould is not only dedicated to promoting diversity within the Firm, we are dedicated to living it. Our professionals and staff mirror that of our clients and position us to look at each issue with fresh eyes and varied lenses. The varied perspectives and collaborative environment contribute to our success in finding unique solutions to our clients’ challenges and adding value to their bottom line. Some firms are weighed down by their own history. Tied to old ways of thinking, reacting and doing, they are unable to help clients take that next critical step bridging past and present. Merchant & Gould is committed to providing its attorneys with a working atmosphere in which each attorney has the opportunity to succeed, advance within the firm, and develop a rewarding practice. Our values are the engine that drives our decisions, large and small.